Christmas time, it’s about family, food and of course the most beautiful decorations. Ours however, never hit that level of beautify I want them too. The tree is just something I struggled with year after year. We always go for an artificial tree, hoping that we can make it look beautiful and not wanting the stress of transporting a real tree or remembering to feed it. However this always ends in a tree that looks like it’s been dragged through a hedge backwards and decorations just thrown onto it! So when The Christmas Forest offered us one of their beautiful 6ft trees, I just knew this had to be the year things changed. As our delivery was booked, we were excited for our first real tree. Friday 30th came, there was a knock on the door and the delivery van waited outside, our tree was here! The driver carried our well packaged tree and stand from the van to the front door, he politely asked where we would like it placed and explained that it wasn’t heavy if we needed to move it (he was right). My only concern about buying a real tree was getting it here. As non-drivers, I’d only ever known that people would drive to the place that sells the tree and then bringing it home, something we of course couldn’t do. So when I found out The Christmas Forest makes deliveries, I knew it was meant to be! The tree was well packaged and came with a green water stand thats honestly very well hidden under the tree (sold separately). After taking a while to saw the bottom off the tree (have a decent saw ready) we put the tree into the stand and took less than a few minutes to easily screw it in and get it up. Unveiling the tree was so exciting, it looks absolutely beautiful, the colour, the smell and the sounds of the girls squealing with excitement as each branch fell beautifully into place. 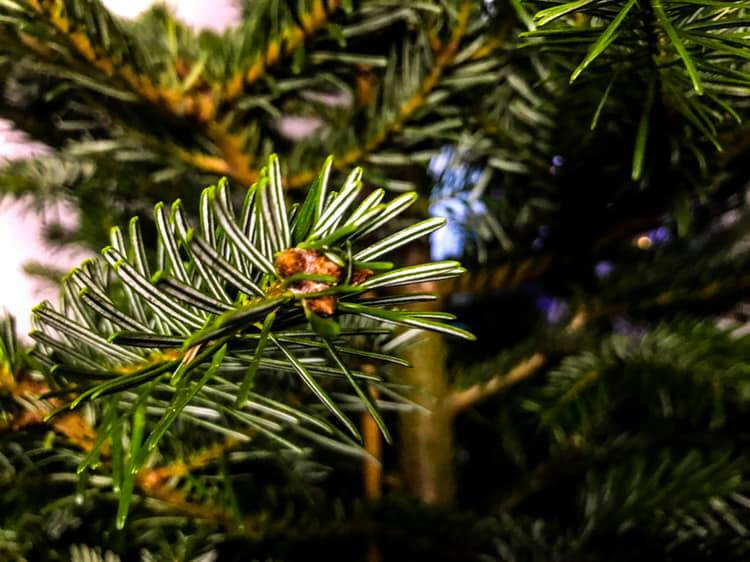 I could see straight away why real trees are perfect for Christmas and the Nordmann Fir will now be my preferred choice year after year. On Saturday we started out day by decorating the tree. Naminé was so excited and in love with the Nordmann Fir, that she had only asked about 100 times! 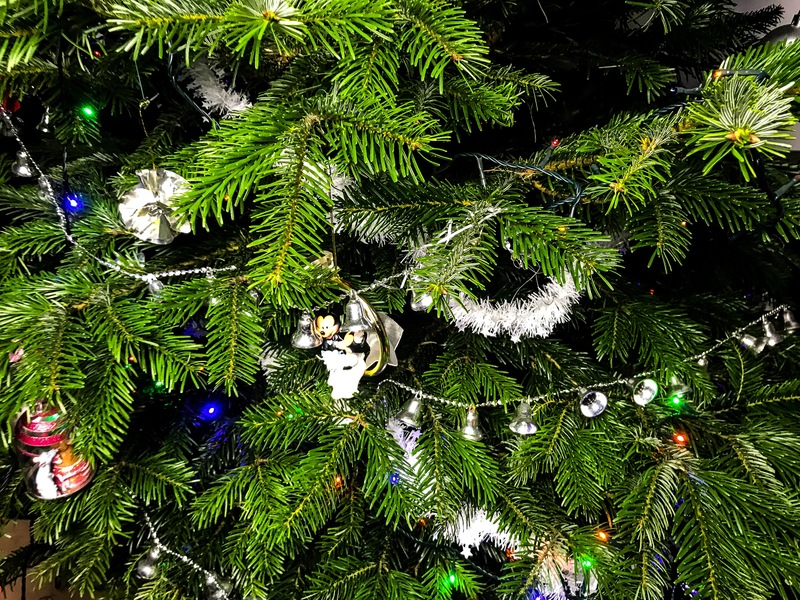 We grabbed our lights and some silver bells with white tinsel and began to place them on the tree. To my surprise the tree was far easier to decorate and I have to say it looks so pretty done and standing proudly by our window. 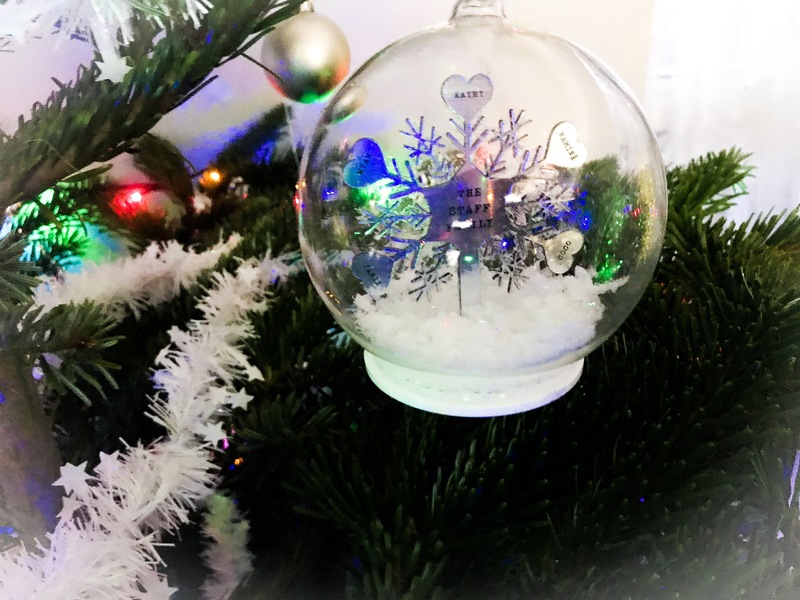 I’m not the best at decorating trees, but I have popped some pictures below which will hopefully help you to see not only the beauty of the tree, but the quality too. 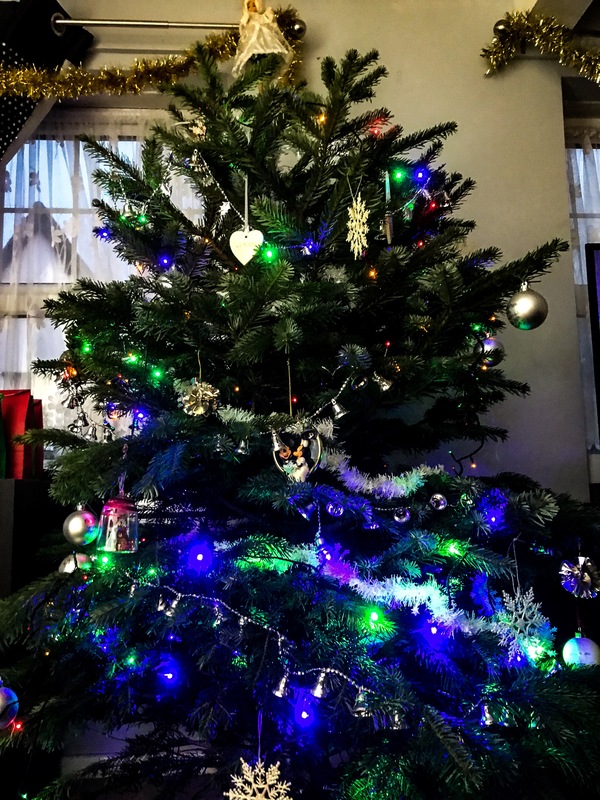 Finally, if you live in the London catchment area, The Christmas Forest have a tree recycling option, if however like me you don’t check with your local council.